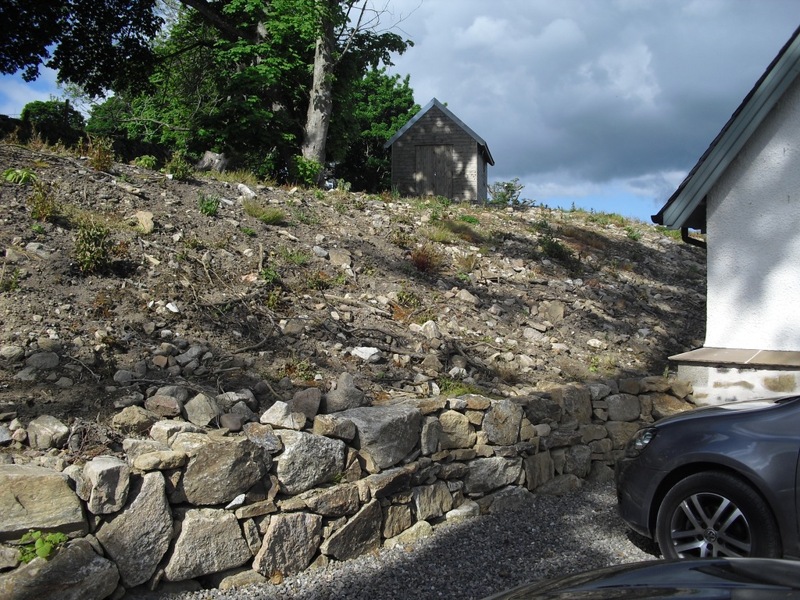 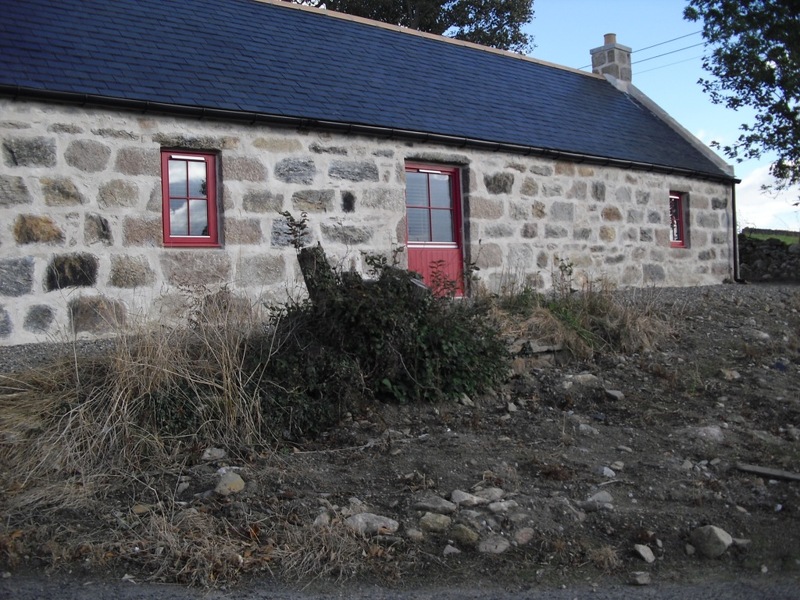 Design brief – The property is a restored lime and stone croft linked to a single storey wing with accommodation running parallel at the rear of the original dwelling. 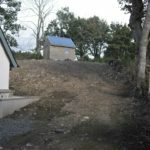 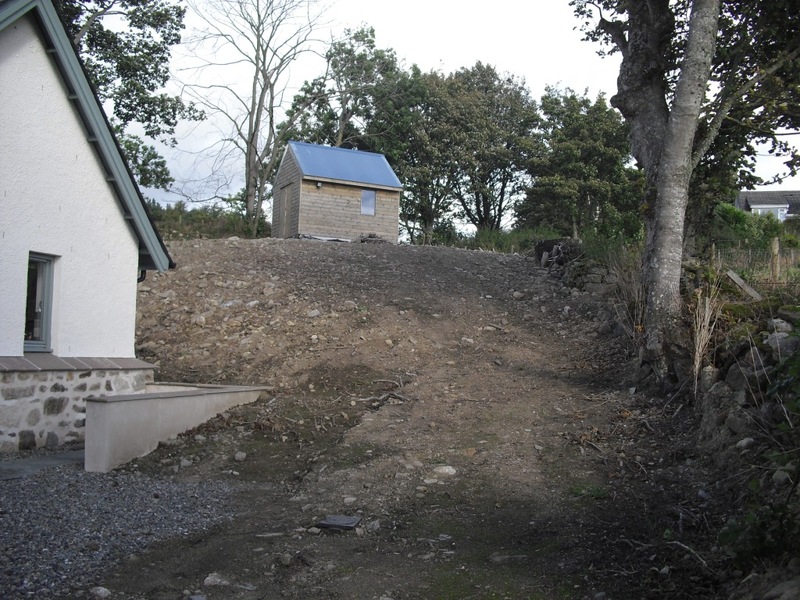 The property is on a sloping site. 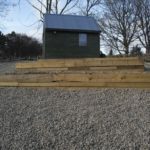 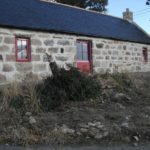 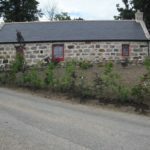 The owners were keen to use traditional materials in the garden design so that it is in keeping with the cottage building materials. 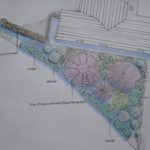 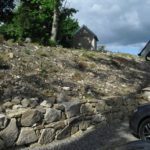 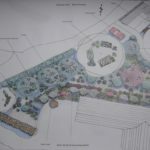 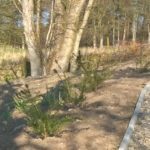 They were also keen to use native planting (hedges and trees). 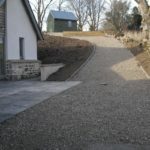 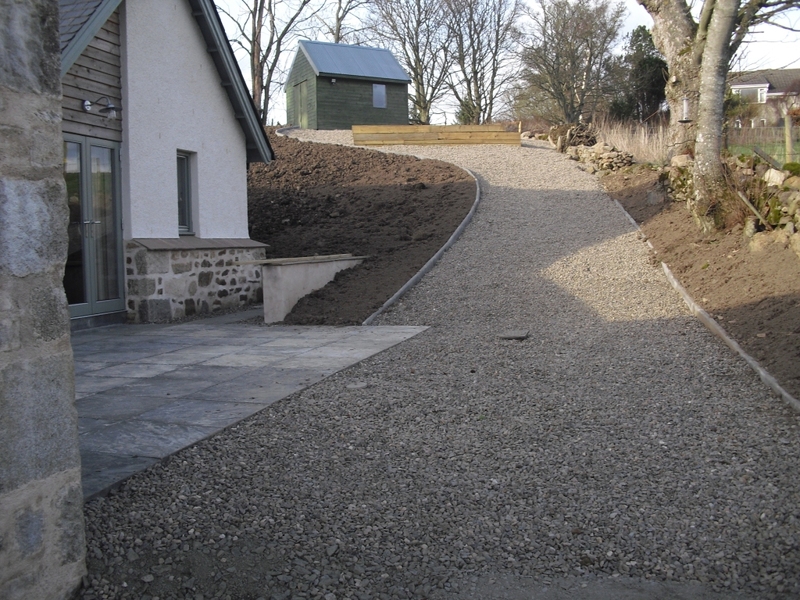 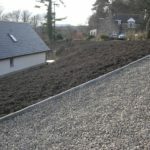 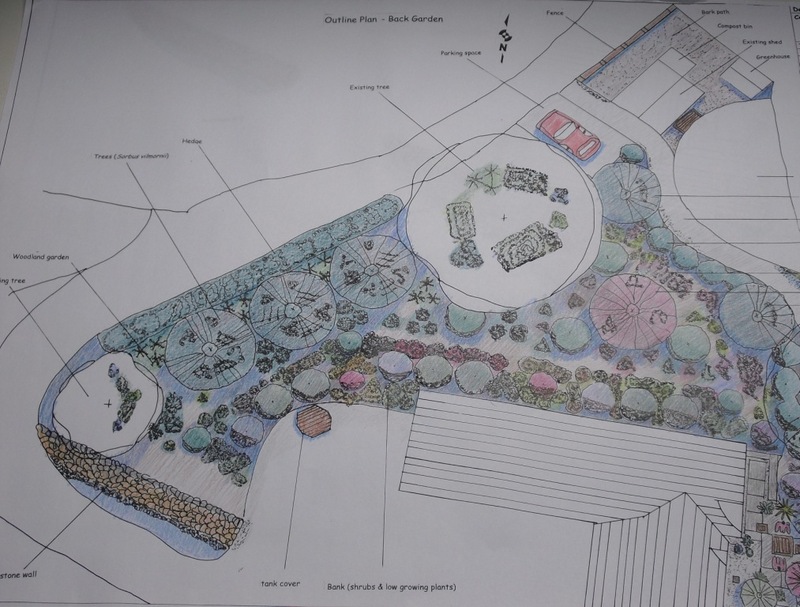 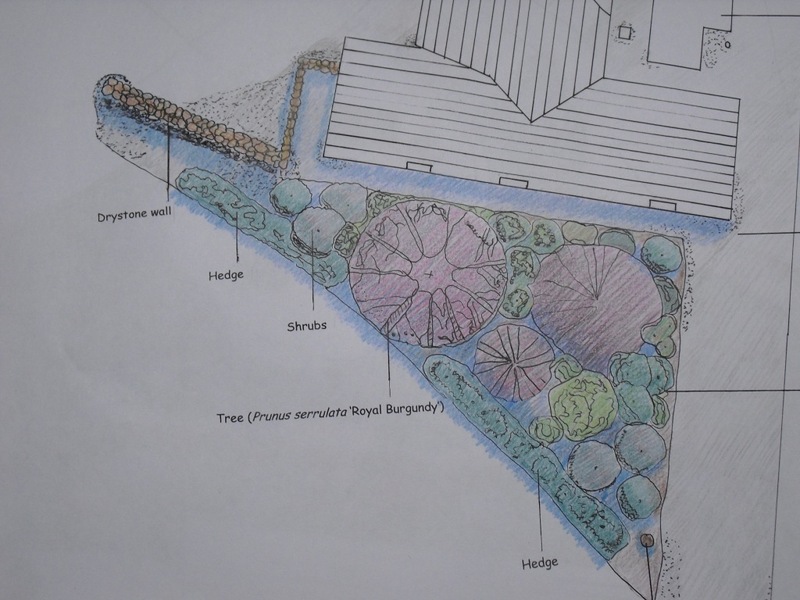 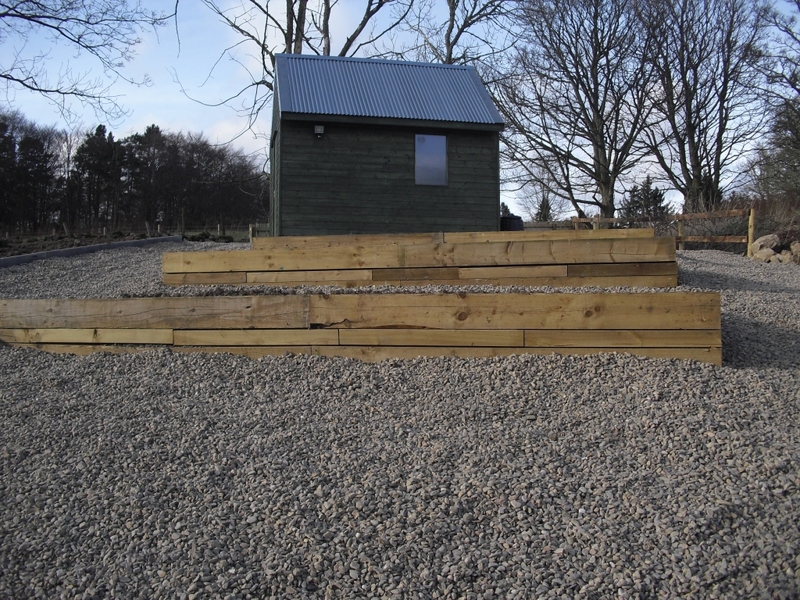 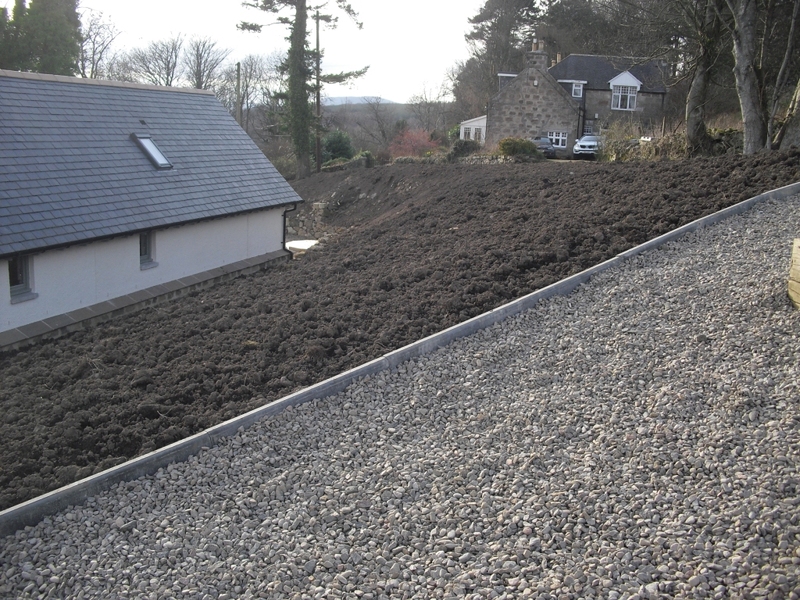 In addition there was a requirement for low maintenance planting with easy access to the sloping site via a path. 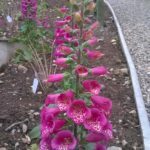 There should be all year round interest in the planting with colours of red, blue, white and purple in flowers preferred. 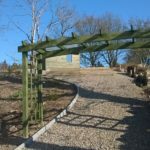 The informal style of the garden should be in keeping with the cottage with a curved design and country and rustic feel with separate rooms or zoned areas for different uses.